An appetizing and attractive cake is always a quintessential centerpiece in every celebration. Whether it is a theme party or an ordinary get together, a grand wedding reception or a valentine’s day, a cake for that event must be truly exemplary and highly presentable so as to glue everyone’s eye on it. These days what people exactly look for is the Top Cake Flavors that can make their party memorable event. From being eye catchy and staggering, the cake for your occasion must equally yummy so that you get the same attention from your guests when they get a bite of it. There is no doubt that over the past few decades, cakes have gone more and more sophisticated with appealing floral designs, convoluted patterns, attractive colors and a seemingly endless number of flavors to choose from. But then it’s all about the taste! And you want your guests to relish every bite and just rave about your party! So, here are five most uncommon but truly luscious Top Cake Flavors that will compel your kith and kin to utter “wow!” at first bite. Aptly named for its rich red hue and smooth velvety texture, the Red Velvet Cake has become an iconic choice in every connubial occasion, whether it is related to marriage or a warm relationship. You get aptly gift it to your valentine or to your spouse on your anniversary. The deep red color of the sponge and the luscious cheese frosting can really make for a special moment while cake-cutting ceremony. With this exceptional flavor of the cake, it would be a fallacy to say that cakes are only associated with sweetness and high calorie intake. Now, what gives it an amazing tang is the tartness of the lemon that compliments the sweetness of the cake. For those guests who are not all pleased with the cloying and sugary desserts, perhaps this is the perfect treat. Well, having some cheese with bread in the breakfast sound good, but how about having it in a cake? Yes, if you are a cheese-lover, this variety is sure to double your appetite. As a perfect gift for every occasion, you can have options in it like the richly baked Oreo Cheese Cake and the fudgy Chocolate Cheese Cake. These are among Top Cake Flavors that you can find only on Giftalove. That might sound peculiar, but the fact is that carrots were used in the cakes during the Middle Ages. Everyone knows how unhealthy the cakes are. To nullify this unhealthiness, here is an innovative blend of health and taste- the Carrot Cake. The carrot content gets softened when baking with the cake, leaving a ‘yummilicious’ effect on your taste buds. If the celebration is for your kids’ birthdays, who always seek for exclusivity, this is the perfect item for the fete. 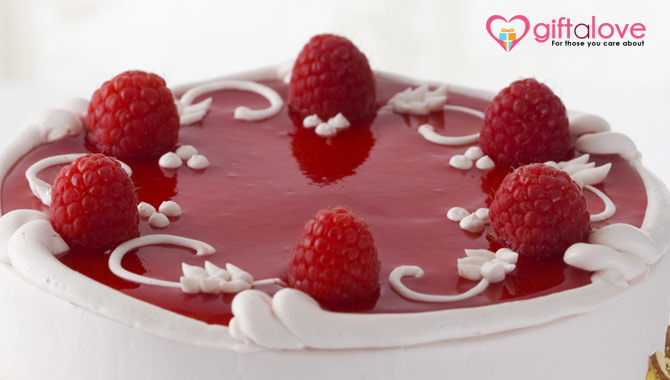 There is wide and never-ending variety of fruit flavored cakes that can allure your kids to nibble it at once! These are few rarest flavors of cakes that we bet, you had never seen before. Well, you can buy them at https://www.giftalove.com/cakes, the most visited e-gifting portal for sending cakes and gifts across India. Here you can find attractive offers on all varieties of cakes.